Providing chiropractic care for the Mt. Lawley and Perth area for over 40 years, Mount Lawley Chiropractic Clinic is known in our community as a place to regain your health, naturally. Patients travel from all over, some from as far as Indonesia and Malaysia to see chiropractors Dr Les Pereira and Dr Martin Rose. All ages of patients are welcome at Mount Lawley Chiropractic Clinic. A variety of conditions has responded well to our care, including sporting injuries. Over our many years in practice, we’ve gained a deep understanding that people need healthcare that caters to their needs. For that reason, we keep things low pressure. You won’t be given a long-term care plan to stick to, but instead, can decide when you’d like to return. Whether you prefer to see us when you’re in pain or like to bring your family in for regular checks every month, we’re here to support you and provide for your needs. At Mount Lawley Chiropractic Clinic we are committed to returning you to your pre accident condition if this is possible and accept insurance cases.. HICAPS facilities are located on-site so that your claim can be processed immediately at the time of your visit. We also accept workers’ compensation cases to provide care for job-related injuries. 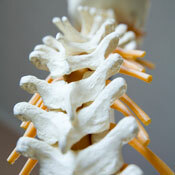 Discover if chiropractic care can give you the results you seek. Contact us today! Insurance is accepted.